To feel safe and secure on the go, clip this heavenly talisman to your car's sun visor. 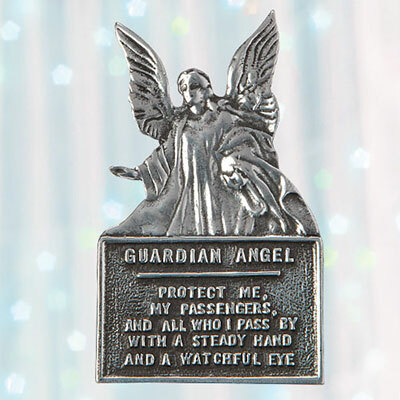 A thoughtful gift as well - this Guardian Angel Visor Clip is a Token of Protection watching over you! Angel figure and driver's prayer in silver-tone metal: "Protect me, my passengers and all who I pass by with a steady hand and a watchful eye." 2¼"h.